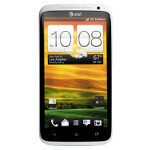 Here is one to take with a grain of salt: a video has been released pitting the two versions of the HTC One X against one another – the Tegra 3-sporting international version and the Snapdragon S4 equipped variant that is headed to AT&T. In the video the Tegra 3 device boots up significantly faster, and also wipes the floor with the S4 version when they both run an AnTuTu benchmark. There are some reasons for skepticism; the boot animations aren’t identical, and it was noted that the Snapdragon S4 version showed “upgrading Android” during boot up (presumably because the Dalvik cache was wiped before the test). Also, while probably not a major factor, the Snapdragon One X was in airplane mode (presumably due to not having a SIM card for it) while the other phone was not. It’s doubtful that either of those caveats fully explain the benchmark discrepancy – the Tegra 3 pulled a 9713 versus the Snapdragon S4’s 5640 – but perhaps more important is that the AT&T phone is still a preproduction device, so you can’t consider this official until we have a shipping device on our hands. It should also be noted that the read-write speed of the Tegra 3 phone was much better during the benchmark, so some of this may come down to the flash memory that AT&T specified versus the international unit. That doesn't leave much room for interpretation. The tegra3 processor seems to nail it hard. yeah, that's a botched test. even my Razr can get around 6200. That's correct:http://forum.xda-developers.com/showthread.php?t=1609878 This is the Rogers version of the AT&T One X with SHIPPING firmware. 7000 Antutu. Not great, but Antutu seems to assign more weight to having more cores. Too bad in many other benchmarks the One XL/AT&T One X blows away Tegra 3. Are these using the same version of Antutu? UI looks different and I did not see the FPS counter during the graphics test on the AT&T version. Even my XS scores 6500. There's a problem with the AT&T's One X.
Antutu test is one of the few softwares in Android full optimized for quad-cores, so S4 Krait can beat Tegra 3 in everying else and with a lower power consuption. Right - this test is with the dual-core S4, not Krait. With the smaller die process I don't think anyone doubts the power of Krait. The main reason this is more interesting than the average benchmark video is that HTC/AT&T decided to change the CPU in the same phone model, so if it turns out that one model significantly outperforms the other, it calls into question that decisions (and how consumers will response). But until PA can verify the results on a production phone and control the testing procedure, this is just preliminary data at best. Right, but we are comparing a dual-core S4 to a quad-core Tegra 3.../snip Edit: Oops, I see! I meant to write "this test is with the dual-core S4, not _the quad-core_ Krait". That's what happens when you try to squeeze in responses between articles. Carry on! correct, but your also comparing a quadcore A9 on 40nm wafers vs a self proclaimed "A15 equivilant" on 28nm wafers. If the s4 was nearly as fast as it tries to compare itself to, it would wipe the floor with the T3 chip. What screen is on the oneX again? 720p or Qhd? Heck, the quad A9 exynos 4212 will destroy both of them. Remixfa you're truly an exynos whore. Yeah, I agree. Quads on 32nm will beat the crap out of Quads on 40nm and Duals on 28nm. I was wondering why Qualcomm released Krait so early, they could have waited for their Quad-Krait and that will be at par or even better than the Quad-core Exynos. The 40nm huawei k3v2 outperforms both chipsets (using 64 bit memory is a great advantage), specially in 3D. I can only imagine what will the 32nm Exynos do. I'm not a 100% sure, but i think it also uses a 64 bit memory. And when the A15 chips from ARM and Samsung arive they wil be on another level. 4 Cortex A9s at 1.5 GHz vs 4 Cortex A9s at 1.5 GHz. Yes, tell me more about how the Exynos 4412, not the 4212 which is dual core at 1.8 GHz, is supposed to beat a Tegra 3 in CPU when they have the same architecture at the same clockspeed. The only thing that the Exynos will definitively beat the Tegra 3 on is GPU and bandwidth. the 4th Generation Snapdragon uses Krait Architecture. Well these techy geeks are looking for the most powerful device out there. Not necessarily the most useful though. :p It's like in cars, some people 'wants' to have a car with a V8 engine that can run at 200mph though they'll probably never get to flex it's muscles in their lifetime. But still, it's fun to have a powerhouse :p I had a very old Sony Ericsson P990i while it was in it's prime and I loved it :p It was powerful then, only beat by it's bigger brother, the half qwerty half nightmare P1. you must mean the Crapdragon because the OMAP4 has support for more formats than the Tegra II. AT&T's bloatware running in the background affects the performance! The 2 phones don't run the same version of AnTuTu ! The 2 CPUs are almost equal! I doubt the version of the benchmark or the small amount of bloatware would affect it that much. AnTutu is optimized four quad core cpus so it can take advantage of all of T3's a9 cores. -Most (all) other benchmarks arent. ---if they arent optimized, the T3 will only use the number of cores that the app is designed for --------------------- Core vs Core, the S4 is faster then the T3.. More apps will get optimized though for quad core,. How does it test SD card read/write speeds if neither model has an SD card available? Top comment on youtube "1296Mhz on HTC One XL? something's﻿ not right should be 1500Mhz...." Could someone explain where it says 1296 Mhz?